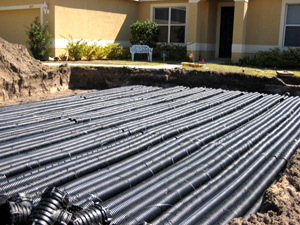 Our comprehensive septic tank services provide everything you need for your Windermere, FL home. Septic Tank Services in Windermere – When you need septic tank services, it can be frustrating to find a company that provides everything you need. Whether you are building a new home and need a septic system installed or you need emergency services to get your septic system working again, our team at Sauer Septic is available to assist you with any job. We are a results-driven company, and you will enjoy working with us when you need a new system or simple maintenance. Emergency Service – Septic system problems can be frustrating when they happen suddenly and you don’t know what to do. Don’t wait to call someone while the problem gets worse. Our emergency septic services mean that we’ll come to your home right away when you are experiencing a problem. Inspections and Repair – Septic tank services involve more than just big installation jobs – it’s important to have your system maintained so it lasts a long time. We provide routine maintenance, as well as inspections and repair, so your septic system will continue to work its best. 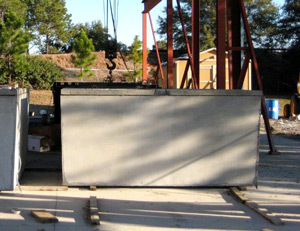 Design and Installation – When you are building at a new site, it’s important to have a company that is experienced in the design and installation of a new septic system. We manufacture our own tanks and can help you address the best location for your system and drain field. When you choose Sauer Septic, you’ll find you don’t need another septic company because our comprehensive septic tank services provide everything you need for your Windermere, FL home. We’ve been in business since 1980, and there isn’t any job, big or small, that we can’t handle. When you need septic tank services, contact our team at Sauer Septic for all your needs. We look forward to assisting you.